A reusable synthetic ice, HYPERICE Fuel™ provides optimal freezer temperatures through a full icing cycle. HYPERICE™ Fuel™ can be used with any of the HYPERICE™ Ice Compression Devices. HYPERICE FUEL differs from traditional gel products in the proprietary shape of the crystals, which mimic real ice nuggets. The synthetic ice nuggets conform to the body, when used with HYPERICE Ice Compression Devices, creating a pliable ice cast, which provides superior coverage for effective cryotherapy treatment. HYPERICE FUEL may be stored at room temperature for shorter periods of time. For longer periods of time store in the freezer. Keep out of direct sunlight and exposure to heat and open air. Heat, sunlight and exposure to air will drastically impact its effectiveness. 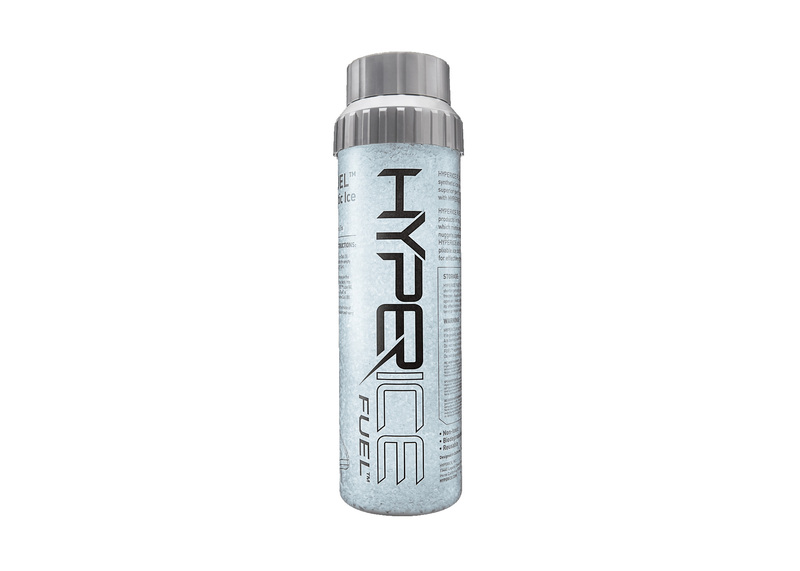 HYPERICE FUEL should not be stored long term or frozen in anything other than the HYPERICE FUEL tube. Copyright © HyperIce 2019 | Our Terms. Notify me when HYPERICE FUEL is available.